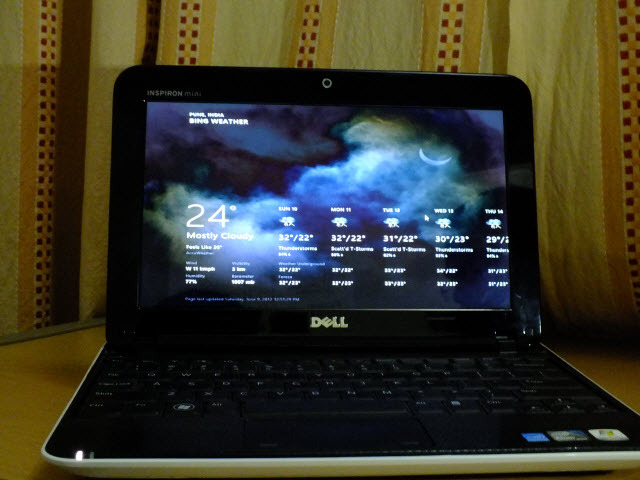 In this how-to tutorial, I am using my Dell Mini 10 (1012) to install Windows 8 and run Metro Apps like Weather, Messaging, People, Music etc. without any problem. 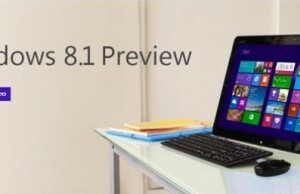 After consumer preview, Microsoft released the Release Preview which is one step closer to the final release of Windows 8. The metro style apps are the most talked about feature of this new operating system as they look pretty cool specially in full screen mode. Using metro style apps like People, Music, Weather, Finance, Travel, SkyDrive is a very different experience. I tested Windows 8 Consumer Preview on one of my desktop with 17 inch monitor with screen resolution of 1440 x 900 px, the found OS and application running fine. But when I installed Windows 8 (Consumer Preview as well as Release Preview) on my Dell Mini 10 (1012) netbook, I started getting error message while opening almost any metro app. 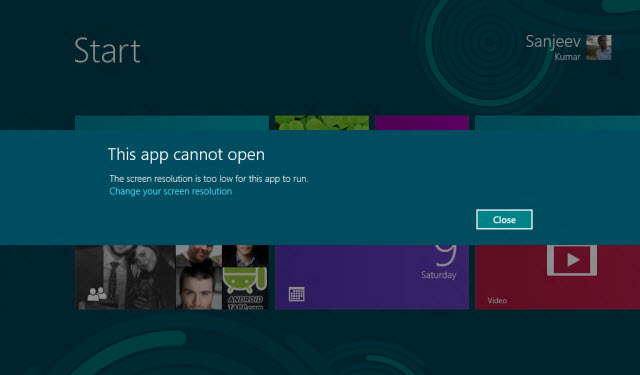 The error was saying “The screen resolution is too low for this app to run“. You may get similar error on other netbooks like Asus Eee PC, Acer Aspire, HP Mini, Sumsung netbook. The minimum requirement for running Windows 8 Metro Apps is that you need a display with screen resolution of 1024 x 768 px or more. 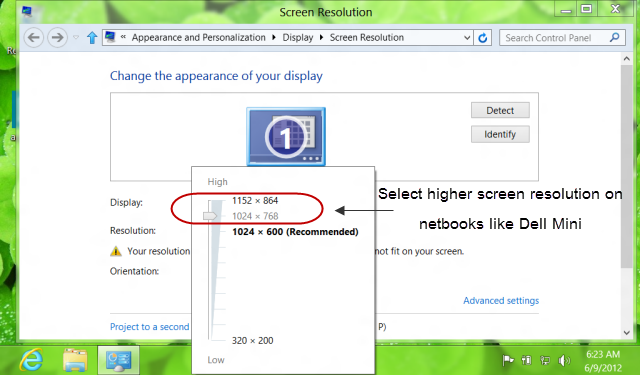 The maximum screen resolution of Dell Mini 10 netbook is 1024 x 600 px which is lower than the required resolution. Apart from the screen resolution problem, the installation process completed without any issue. I even tried installing 64-bit version of Windows 8 Consumer Preview on Dell Mini 10 with 1 GB of Memory (RAM), and the installation completed without any warning. According to the FAQ of Windows 8, the minimum requirement for Windows 8 64-bit is 2 GB of RAM but 1GB also works fine. Then I installed 32 bit Windows 8 on the same netbook and that also installed without any problem (as expected). Now my netbook is running Windows 8 Release Preview 32-bit with low screen resolution problem and I am not able to run metro apps. If you are also facing the same problem while running metro style apps on your low screen resolution netbook, you can try either of the two simple solutions suggested below. Upgrading the display panel of netbook is an expensive option and that’s why I am not suggesting the same here. I would suggest you any of the either two solutions mentioned below to run Metro Apps of Windows 8 on your existing netbooks. Like most of the netbook, my Dell Mini 10 (1012) is having maximum screen resolution of 1024 x 600 px which is lower than the minimum required resolution to run Metro Apps of Windows 8. There is a simple modification requited in Windows registry to let you increase the screen resolution of any system. Use the below mentioned steps to increase screen resolution. If you don’t want to change the recommended resolution of your netbook as you may find the fonts and texts a bit compressed, you can also get the metro apps running by just attaching another screen or monitor to the netbook. Like most of the netbooks, Dell Mini 1o is having a VGA port to attach second screen to the netbook. I attached a 17 inch monitor to the VGA port of Dell Mini and selected the option as “Use Monitor 2 only”. You may also choose between extended or duplicate monitoring option on the same window. As the screen resolution of my second monitor is 1440 x 900 px, all the metro style apps started running smoothly from my netbook. 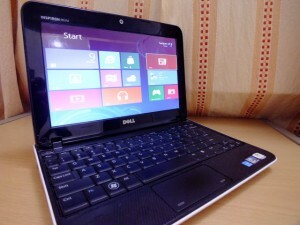 So if you are having a spare monitor at your home, connect that to your netbook and enjoy Windows 8 with full capabilities. 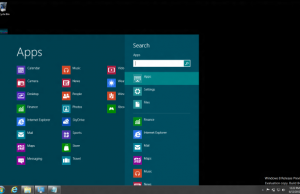 One can also run Windows 8 Metro style apps from Netbooks or other devices with low screen resolution using Remote Desktop Connection. 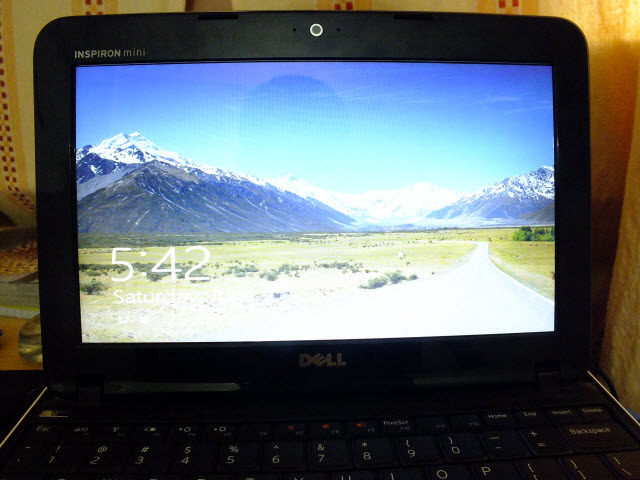 If you have another desktop or laptop with better resolution, try to access the netbook via “Remote Desktop Connection” app available in Windows. Once you will get the netbook screen on the second desktop/laptop, you will the screen resolution of netbook remote screen adjusted to the resolution of second device. That means, if I am accessing netbook via remote desktop on my 17-inch desktop with screen resolution of 1440 x 900 px, I will see netbook screen on my desktop with the same resolution. 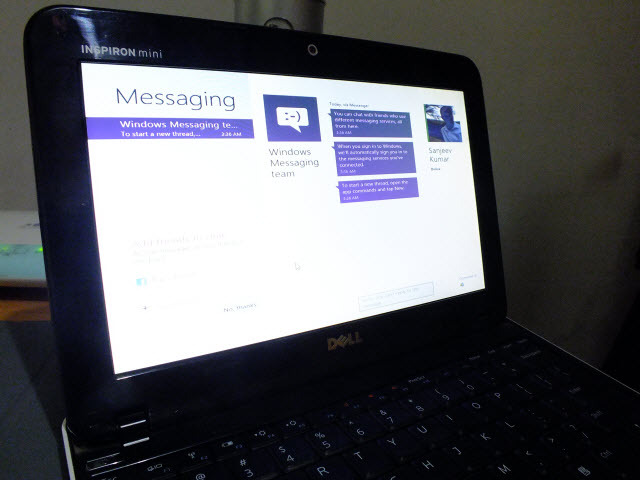 There I can test the Metro Apps of Windows 8 installed on my netbook. Let me know if you find this tutorial helpful. To support the above tricks and installation, I have attached few screenshots below.